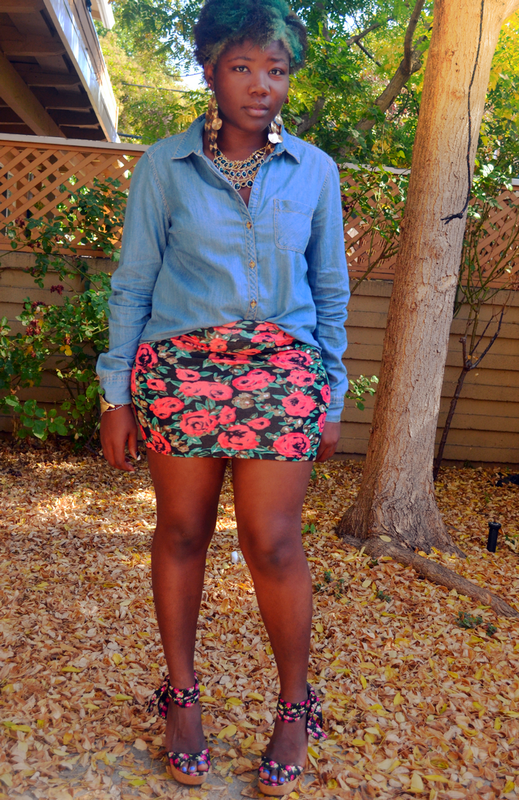 i like the denim and florals combo! jolie!!! j'aime trop te bijoux!!! 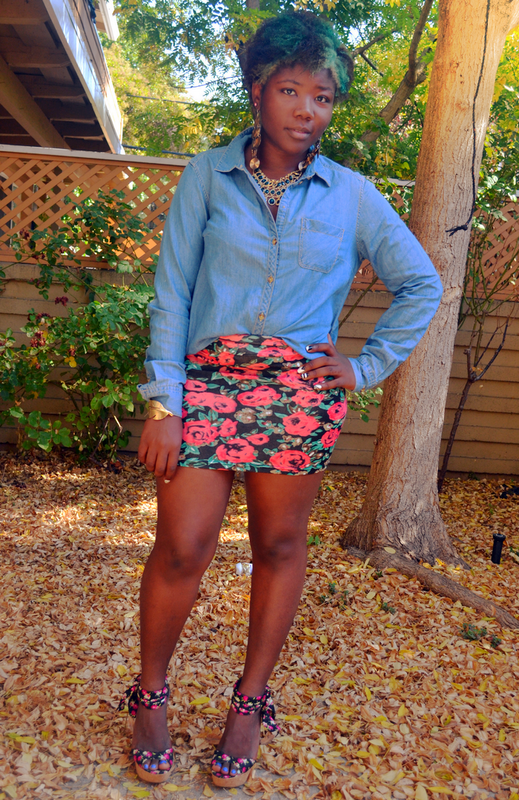 I love how closely related your floral prints are! awwwww Dee you look so gorgeous as I said on lookbook I would wear this look right now only if it wasn't that cold and will be able to be bare leg awww miss the hot weather ;( the skirt is a dream. Really nice look, love that blouse! Very cute Diane! 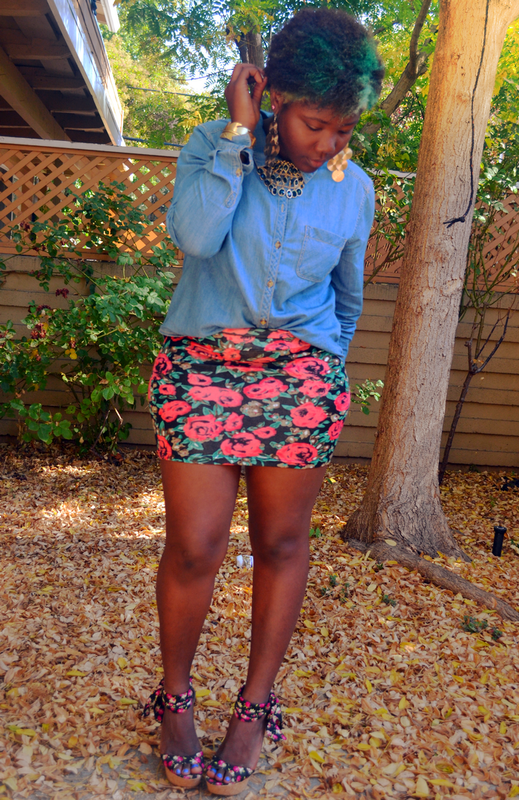 I'm loving the shirt paired with the bodycon that way. nice outfit, perfect combo... oh, i so love your skirt and shoes! 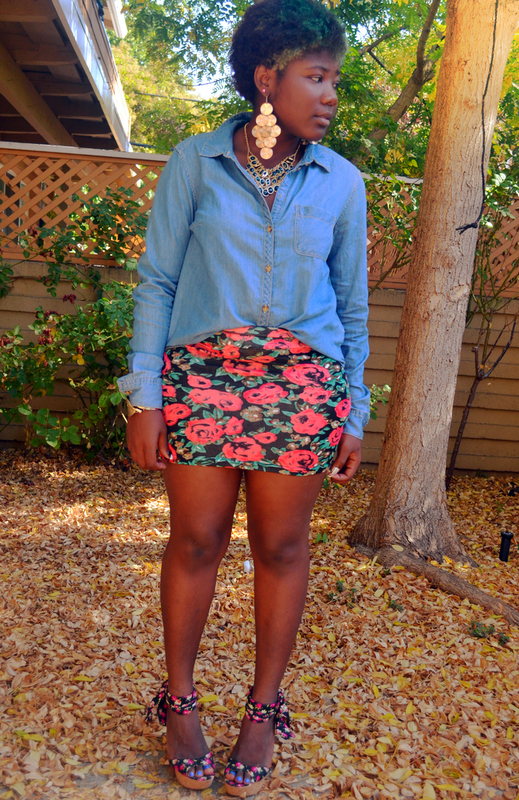 you look so beautiful, you rock the skirt! Ta jupe est trop jolie !! love your necklace & bracelet! 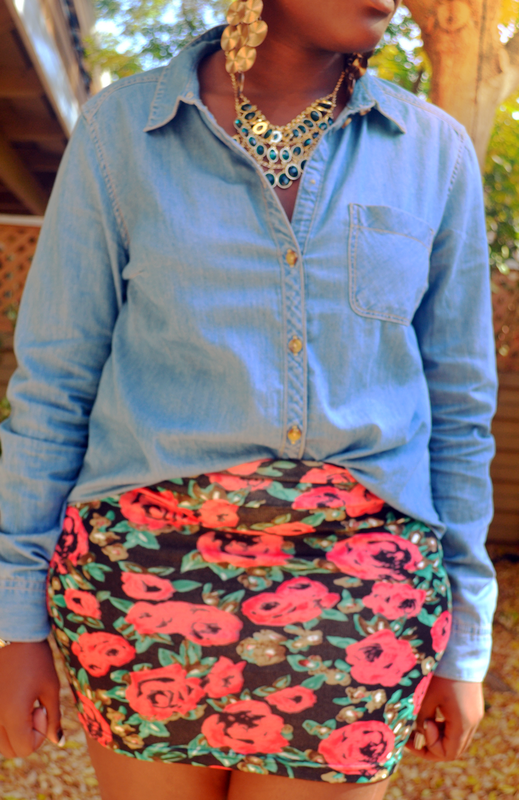 Love the mix of the chambray chirt and the floral skirt. Great combo! Thanks for sharing! 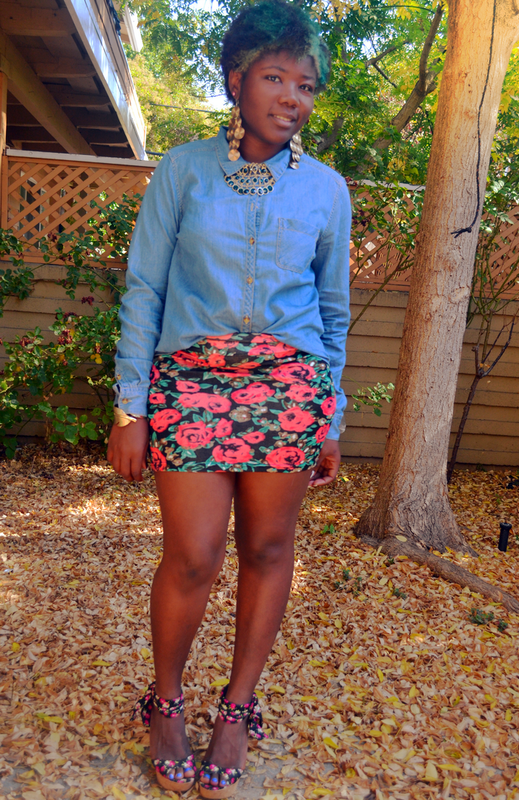 One of my favorite things to do when styling clothes is to wear denim with floral! :)you look so nice!!! I love this! Your hair is amazing. Wish I can pull off blue like you!